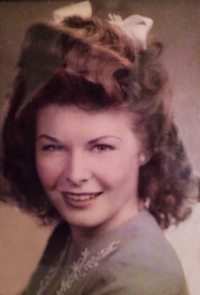 Obituary – Kime, Bess (Williams) « Perry High School Alumni Association, Inc.
﻿Bess Kime, 77, of Perry, was born on June 8, 1925 in Van Buren, Arkansas and died Saturday evening, September 21, 2002 at Integris Baptist Hospital in Oklahoma City, Oklahoma. She was the daughter of John Virgil and Etta Faye (Buster) Williams. Bess was valedictorian of her 1943 graduating class at Perry High School. 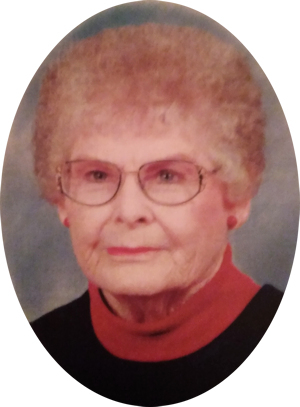 She retired as an insurance clerk for Charles Machine Works and was a member of the First Baptist Church where she was a Sunday School Teacher for 60 years. Bess enjoyed cats, bicycling and was an avid bowler. She won numerous medals in the Oklahoma Senior Olympics. Funeral services will be at 10 a.m. Wednesday, September 25, 2002 at the First Baptist Church of Perry with the Rev. Buddy Hunt officiating. Burial will follow at Grace Hill Cemetery. Services are under the direction of Brown-Dugger Funeral Home. Memorials may be made to the First Baptist Church of Perry or the Humane Society of Stillwater. Bess is survived by two daughters, Judy Haxton and her husband Paul, of Stillwater, Oklahoma and Kathy Bridges and her husband Larry, of Perry, Oklahoma; one son, Steve Kime and his wife Debbie, of Tulsa, Oklahoma; three brothers, Thell Williams of California, Velmer Williams of Wichita, Kansas and Denver Williams of Del City, Oklahoma; six grandchildren and four great-grandchildren. Her parents and eight brothers and sisters preceded her in death.